SAMSAM is the latest ransomware variant that hit healthcare industry, specifically the Kentucky Hospital. 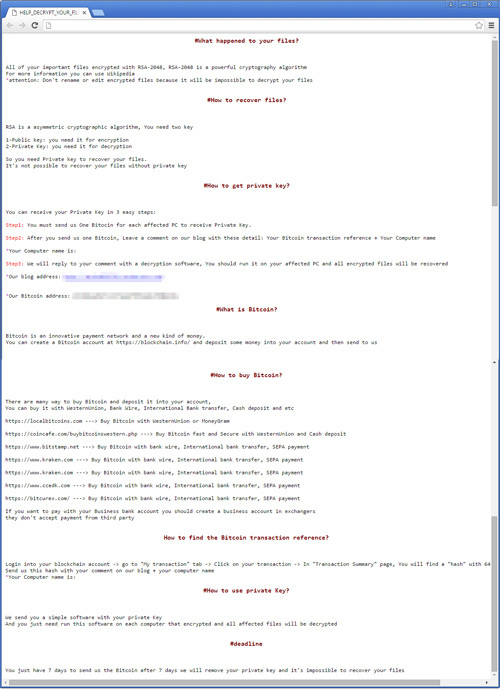 Based on reports, this malware is distributed via unpatched servers, instead of the usual infection vectors such as malicious websites or email attachments. 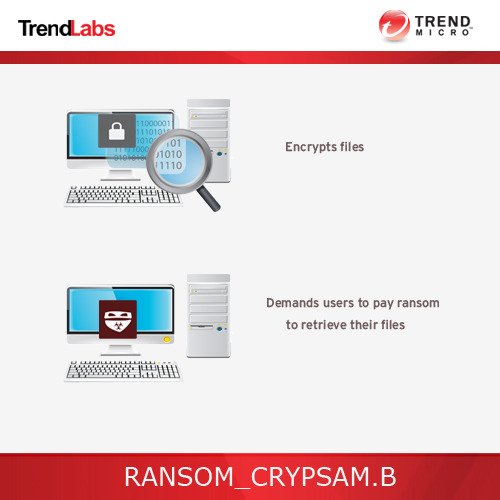 Scan your computer with your Trend Micro product to delete files detected as RANSOM_CRYPSAM.B. If the detected files have already been cleaned, deleted, or quarantined by your Trend Micro product, no further step is required. You may opt to simply delete the quarantined files. Please check this Knowledge Base page for more information.